VAIS state on their website that they are not anti-vaccination and under NO circumstances do they coerce individuals from vaccinating. It is important that the general public are aware that VAIS provides incorrect and misleading information that is solely anti-vaccination. The following quotes and images are from VAIS and its committee members, clearly demonstrating their anti-vaccination position. Advice from VAIS, urging its member and supporters to speak up and take action about conscientious objection. Join V.A.I.S.- we want to place advertisements in local papers to let people know we are here - we need your membership $$$ to do that. Email growingawareness@hotmail.com to join up. Write a letter to your local paper and the larger papers when you see things written that are untrue. Keep the letter simple and short. Write to your Federal member and let them know you have investigated this issue at length and will not stand by and support compulsory vaccination. Talk to other people with young children. 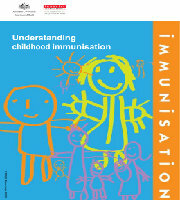 Email me to request the 'talking about vaccination' sheet with some tips on how to deal with different situations. We are not suggesting you get into any debate, merely drop little gems here and there. If you know a pregnant woman give her one of our postcards or a membership form. 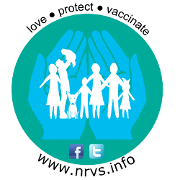 If you observe a new baby or pregnant woman living in your neighbourhood, email us the address and we'll post an information pack - (you don't have to know their name). Keep a few VAIS items in your car or bag so, if parking next to a car with a baby capsule or baby seat, put a membership form or postcard under their windscreen wipers. (Do not do a whole park or put in baby change areas!). Make sure all carers of your child are educated on this issue. It is not enough that only one parent be educated. Pro-vaccine partners can also arrange for children to be vaccinated in your absence. In addition, bitter ex-spouses can and have gone to court to enforce vaccination, and won. Let your parents and in-laws know you have investigated this issue at length and decided against it. Let them know that their belief in vaccination is just that, a belief, and beliefs change when new information comes to the fore. If they state they are not interested in reading further about it - let them know that it is no use talking about it then. If you are not close to 100% about your decision come to one of our seminars. We hold them once a month. Email growingawareness@hotmail.com to get the dates. Educate your children about this issue and have a plan in place in case they are vaccinating at school with or without your knowledge. This needs to be ongoing throughout their childhood, just as you would talk about other poisonous things in their environment. Encourage your teenagers to talk to their friends and put comments on their Facebook, Myspace etc about vaccination so their peers are getting educated and can then provide info to their parents. REMEMBER - it is the parents who investigate this issue thoroughly who are the responsible parents and not the parents who go blindly and have their child jabbed. Be PROUD you have made an informed decision and DO NOT justify it to anyone. After all, vaccinators don't justify their decision! Educate others or at least plant a seed of doubt in their mind. Raise awareness by letting others know factual information is available and where to find it. Build a network of people who are educated or at the very least are agreeable that it should stay the parent's right to make the choice about vaccination. Build your confidence, which spills over into other areas of your life. May save a baby from a fatality, serious injury or disease e.g. asthma, diabetes etc. Take this quick quiz and see! Do you think vaccines are safe? Do you think vaccines are effective? Do you believe vaccines stop children from getting a disease more severely than unvaccinated children? 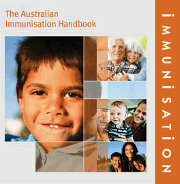 Do you think it's compulsory to vaccinate your child in order for your child to attend child care, pre=school or school? 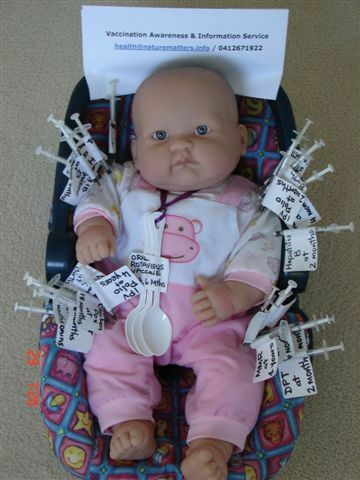 Do you think parents are irresponsible if they don't vaccinate their children? Please turn the page for the facts. Vaccines are not safe. With every vaccine the drug companies produce a product insert to warn parents of the known side effects of their product. Every one of these lists death as a known side effect, as well as many other lesser effects ranging from severe brain damage to seizures. Also see over the page for the list of conditions attributed to vaccines by researchers, scientists, doctors, natural therapists and parents. Vaccines are not effective - there are many documented cases of epidemics in fully vaccinated communities. Also official Government figures obtained state that the majority of people who contract a disease were fully vaccinated. If lack of vaccination determined the severity a person got a disease, it would follow that only unvaccinated persons would be hospitalized or die from a disease. This is not the case. Vaccination status does not determine severity of the disease in a person, but immune system status does. Vaccines lower the immune system. Good nutrition boosts the immune system. It is not compulsory for children to be vaccinated in order to attend childcare, pre-school or school in Australia, contrary to how the Government makes it sound. In some states you will be asked to produce a vaccination record card, but, if you do not have one, simply say that you don't have one. The majority of parents who choose not to vaccinate their children have investigated this issue at length. They have made an informed decision. This makes them very responsible. Far more responsible that the parents who have had their children vaccinated out of fear, ignorance or lack of courage to go against the majority. Juvenile arthritis, Acute arthritis in Adults, Crohn's Disease, Diabetes, Autism, Asperges Syndrome, Deafness, Meningitis, Atypical Mumps disease, Atypical Measles disease, guillian-Barre Syndrome, Asthma, Eczema, Anaphylaxis, Thrombocytopenia (a decrease in blood Platelets responsible for blood clotting), Optic Neuritis accompanied by blindness, SSPE, Acute Encephalopathy Resulting in brain injury, Death. Encephalitis, Alzheimer's Disease, Eczema, Asthma, Attention Deficit Disorder (ADD), ADHD, Arthritis, Death. Guillian-Barre Syndrome, Cancer, Myalgic Encephalomyelitis, Vaccine-Associated Polio, Death. Encephalitis, Herpes Zoster, Aplastic Anemia, Death. Alzheimer's Disease, Guillian-Barre Syndrome, Flu, Death. Not one shred of evidence that vaccination works. None. "My opinion on all vaccination, it doesn't matter if it's that one [pertussis] or for measles or whatever, is that it is totally unnecessary. Because there is no proof that it works. Not one shred of evidence that vaccination works. None." "Well, the government says that they're safe and effective and neither of those things are true. They are not safe..."
"But epidemics were happening in fully vaccinated populations all over the world so, it's well documented that vaccination doesn't work." "...but there's a lot of other things besides preservatives, like formaldehyde. Formaldehyde should never be coming into our bodies, mercury should never be coming into our bodies." "Now, we have an autism epidemic in Australia ... 1 in 160 children in Australia have autism. That's an incredible epidemic and it has been around since mass vaccination and the more vaccinations we are giving, the more autism we're getting." "And, unfortunately, the majority of people who do vaccinate their children, or have their children vaccinated, don't make an informed decision, they make a decision based on fear and ignorance. And that's just not good enough. That's pretty negligent." "I travelled to China; I'd been there twice before, in 2002 & 2003, teaching English. So that's why I went there but I did actually educate a lot of kids about natural health and the dangers of vaccination as well. Which they were very surprised about." ... "I had 880 students the first year I was there and I let them all know about it for them to educate their parents." "It saddens me to know there are thousands of babies out there being damaged, disabled or lost every year and they have no voice to stand up against the powerful drug companies and, what is now an industry, and scarcely a profession - medicine. There is so much information out there now from people who do not have a vested interest in vaccinations - I suggest you look into it thoroughly and put your fears to one side." In the 1st part of this lecture, Stephanie Messenger, from VAIS, presents us with some compelling arguments against the use of vaccination. After reviewing some of the history of vaccination in Australia, Stephanie reviews many of the more recent side-effects and problems associated with this area of medicine. Are you responsible enough to find out the answers to these questions? Children are sicker than ever! Will the HPV vaccine cause infertility? Is vaccinating your child costing them their health? Why does the childhood cancer rate rise with the introduction of each vaccine? Can my child be excluded from childcare if they are not vaccinated? Can I lose my Government benefits if I choose not to vaccinate my child? What can you do to protect your child from disease naturally? "As long as the general public continues to believe that a vaccine is a like taking a vitamin, childhood diseases will continue to complicate our lives. Toxic laden vaccines are not natural to the human body and only serve to compromise our immune system instead of support it. Until the Australian Government establishes a mandatory adverse reaction reporting system for every vaccine administered, and creates a compensation fund for vaccine damaged families, doctors will continue to parrot the flawed vaccine research funded by the very same companies who produce them. Ironic too that this 4yo child gets injected with this toxic cocktail, and then receives lollies (more toxins) for being such a good boy! Remember this is the same industry that once actively promoted cigarette smoking, DDT and thalidomide." "The headline of this article has very little to do with the content. Another attempt at media and government to place the blame of illness upon those parents who are making an informed decision on this matter. If you investigate the true cause of this disease, any intelligent person would deduct that it has everything to do with the condition of the body and immune system - the germ theory has been long disproven, which is the only grounds for vaccines working. Wake up people, and think it through for yourselves, rather than accepting media/government propaganda as fact and subjecting another generation to the toxic experiment that it is." "Jane Fyne-Clintons article is emotive and fear mongering. There are numerous parents who truly believe their child has had a major reaction to the MMR vaccine and therefore have a choice not to continue the vaccine program or other parents have the right not to vaccinate their children. This right must prevail as vaccination is a medical procedure and like all medical procedure does come with risks. There are numerous studies completed around the world to suggest more research needs to be done to ensure this particular vaccine is safe, many reports clearly show it is not. What amuses me is that these children with measles are all vaccinated, what protection I ask." Roxanne Iwinski letting slip that VAIS's pro-choice stance is simply a front in attempting to silence critics. "Just got lucky with the email! They are out there all right - lots of them - the person in question has the following site - [redacted] and there is no right of reply option - very frustrating as much of it is incorrect. We are determined to diffuse this site as best as we can, and although we suspect there is not much traffic to her site, we figured that having our information truly 'pro-choice' would deflate her agenda. We welcome any suggestions from members. Source: Roxanne Iwinski - email sent to an enquirer.